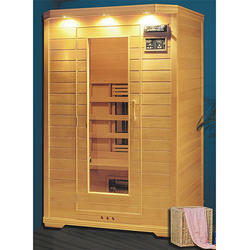 A sauna is a dry heat while the steam room gives off wet, humid heat. ... "Saunas use dry heat, which makes your pores release more sweat, while steam rooms have more moisture in the air, which can help plump up your skin. 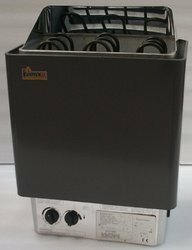 Steam rooms can also help acne-prone skin by balancing oil production,"
By keeping track of current market development, we are offering an excellent range of Sauna Hygrometer. The offered hygrometer is designed by our adept professionals by making use of superior quality components and innovative technology. Widely appreciated for its high reliability and cost-effectiveness, we provide this hygrometer in different designs and specifications as per the needs of our clients. 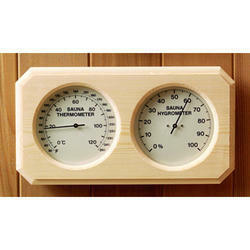 The offered hygrometer measures relative humidity or the amount of moisture in the air. 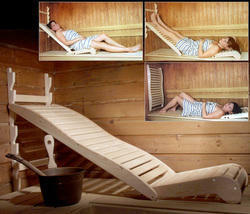 We are involved in offering a wide range of Sauna Bath Accessories to our most valued clients. 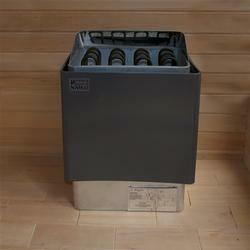 Our range of Sauna Bath Accessories is widely appreciated by our clients which are situated all round the nation. 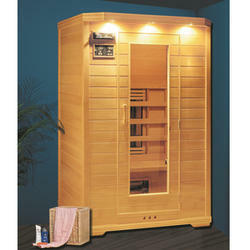 We offer our range of Sauna Bath Accessories at most affordable prices. With the support of our experts and sophisticated in-house facilities, we have been able to offer an array of Sauna Bath to our prestigious clients. Highly demanded by various hotels, resort and massage centres, this sauna bath is designed by our adroit professionals using quality tested raw material and advanced techniques. Apart from this, our customers’ can avail this sauna bath from us in different customized options at budget friendly prices. 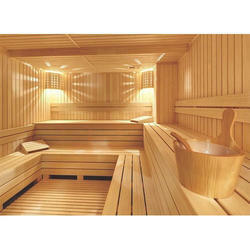 We are offering Sauna Bath to our clients.